Edgar has been a National Coach for the USA, Germany and Mexico as well as a partner in two Major Academies: International Tennis Academy in Florida and Centro MexTenis in Mexico. 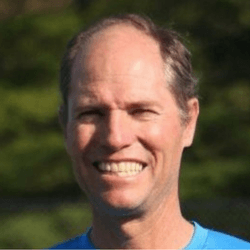 He has been a speaker at many National and International Coaches Conventions and is the International Consultant for TennisGate, a company specializing in tennis coaches' education. Edgar played for the University of Texas where he completed an Undergraduate Degree in Business and a Graduate Degree in Exercise Physiology. Edgar started his coaching career as an Assistant Coach for the University of Texas, and has been coaching high performance players for the last 25+ years.